Freddy Shepherd has been replaced as Newcastle United chairman by his deputy Chris Mort. "I am delighted to become chairman of such a fabulous club," Mort told the club website. "Since arriving at St James' Park I have been hugely encouraged by the warm welcome I have received from fans. "The strategic review of the club is going well and, with the new season fast approaching, we feel the time is right to make the change." He added: "I would like to thank Freddy Shepherd for all he has done for the club over the last 15 years." Mort was handed the role of deputy chairman following businessman Mike Ashley's takeover of the club. Ashley bought Shepherd's 28% stake in the club in June for more than £37m, this came after his purchase of former chairman Sir John Hall and family's 41.6% stake worth £55m. Ashley has since increased his stake to 94.5% and delisted the club from the Stock Exchange. At the time of selling his stake to Ashley's consortium, Shepherd told the Stock Exchange: "The time since Newcastle's flotation in 1997 has seen a radical transformation in the club and its fortunes, with the club now being one of the 20 wealthiest clubs in Europe. "The offer from St James' Holdings Limited (Ashley's bid vehicle) is at a level which fully reflects both the performance of Newcastle and its prospects and ambitions for the future. "The board believes that SJHL and Mike Ashley will be excellent custodians of Newcastle United's heritage and will provide the best possible opportunity for the club to flourish in the future, to the benefit of the company and its fans." 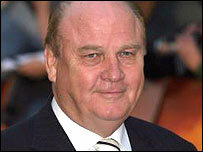 Shepherd was a major supporter of Sir John Hall's successful attempt to takeover the club in the early 1990s and the new owners brought almost immediate success to the club. Under the guidance of Kevin Keegan the Magpies were promoted to the Premier League and it was not long before they were challenging for the title. In 1996 the club paid out a world record £15m to bring Geordie hero Alan Shearer to the club and it appeared the good times were only around the corner. Shepherd took over from the hugely popular Hall as chairman in 1997, but it has proved a controversial and ultimately unsuccessful 10-year reign. The year after assuming control a tabloid newspaper quoted Shepherd and director Douglas Hall mocking the club's fans as well as star striker Alan Shearer. The pair resigned from their roles only to reinstate themselves the following year. But the club's failure to win a trophy, along with some unpopular decisions, has only increased calls from fans for Shepherd to step aside. The sacking of Sir Bobby Robson four games into the 2004-05 season and the appointment of Graeme Souness added to the pressure on Shepherd. And last season the club struggled on the way to finishing 13th in the Premiership, leading to the sacking of Glenn Roeder. Before his departure Shepherd made Sam Allardyce his fifth manager in 10 years. After fighting off two takeover attempts he finally bowed to the inevitable, standing aside to allow Ashley to gain full control.